360° transitions – to apply between 360° spherical media clips in a 360° project: Bloom, Circle Wipe, Divide, Guassian Blur, Push, Reveal Wipe, Slide, Wipe. Motion and Compressor have also been updated. The new colour correction tools that were introduced in Final Cut Pro 10.4: colour wheels, colour curves, hue/saturation curves, and custom LUTs. Compressor 4.4.2 is now a 64-bit application, so it can make use of more your Mac’s memory. It gets SRT caption format support too. Plus it also is now smarter at interpreting QuickTime and MXF media to configure outputs. Like the previous 27 updates over the last seven years, this one is free for current users. Final Cut Pro X costs $300 for new users. Motion 5 and Compressor 4 are $50 each. All three applications are available on the Mac App Store. The applications still run on macOS High Sierra – needing 10.13.6 or later. If your version of macOS is older, the Mac App Store won’t show you the update. The format of Final Cut Pro X libraries has changed, so any opened with version 10.4.4 will not be accessible by earlier versions of Final Cut. Before you update, Apple advise that you backup Final Cut Pro X and your existing libraries – they have a support page with more information. Final Cut Pro X, Motion and Compressor release notes. Many in the X ecosystem thought that Apple would stop there. They thought it unlikely that they would be allowed to add their own floating windows to the finely-tuned Final Cut UI. Since the 10.3 update, video plugins have been able to show their own windows over the Final Cut UI. Now workflow extensions can do much more. It turns out that the extra things that can be done with workflow extensions are worth the danger of third parties making Final Cut Pro harder to use. The initial plan is that Apple will collaborate with developers who apply to them to make workflow extensions for Final Cut. They are not yet making all the tools and information available to all macOS (and iOS) developers). Some people may be disappointed that this update doesn’t include features they have been asking for for years. I think the Apple policy is to not ‘half-implement’ many features twice a year and never go back to make them work well. They wait until they think the feature is ready. This update also shows that they keep on adding to areas they recently updated: a new 360° video tool to follow on from least year’s 10.4 update. A new caption format to follow on from this April’s 10.4.1 update. If you are waiting for a huge update like ‘collaboration re-done for the 21st century’ – updates like this are needed so that other pieces can fall into place. Parts of the application not visible to users need to evolve and be tested ‘in the field.’ For example, if the way that Final Cut Libraries store information is hard to share amongst multiple editors at a time, an update might see a storage system change that paves the way for collaboration in future. It might be also that some features are associated with Apple’s hardware plans. New iMacs, Mac Pros and iPad Pros need applications to run. Uses that mainstream journalists can understand and pass on in coverage. Editing is a simple demo that most people can understand. A proposition such as ‘The new Mac Pro can be the centre of a creative collaboration workgroup who are working on a feature film or TV series” is clear and can be passed on easily. Today sees the launch of the first three Final Cut Pro X workflow extensions from Frame.io, Shutterstock and CatDV. Frame.io is an online post-production feedback system. Up until now, it has been a browser-based service for Final Cut users. The Final Cut Pro X workflow extension brings the full power of Frame.io to a window that runs in the the application. From within Final Cut you can use the Frame.io workflow extension to upload clips and timelines. Once in the cloud, collaborators can review, comment on and annotate projects – in browsers and on custom iPhone and iPad apps. 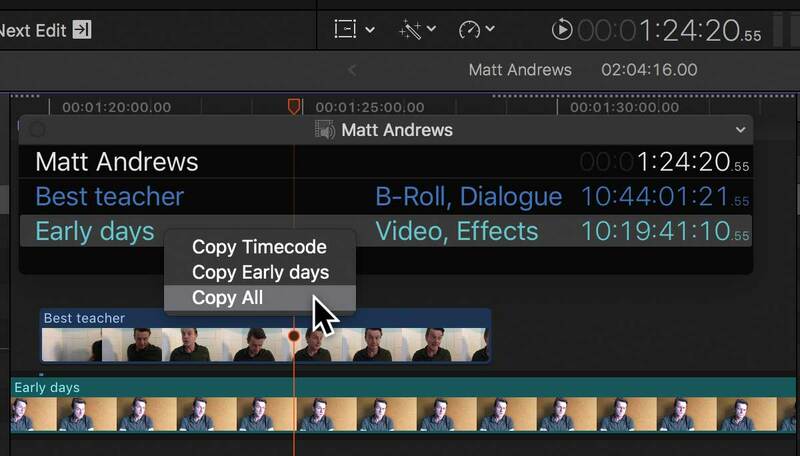 Each comment and annotation is associated with specific clip and timeline timecode. The Frame.io Final Cut workflow extension can let editors know when collaborators are commenting – in a similar way to the way Apple Messages tells you when someone else is typing. If multiple people are commenting, their comments are assigned their name as a commenter role – which helps editors prioritise who the respond to first. The extension also has control over the Final Cut playhead so that as you go from comment to comment in the Frame.io window, the playhead jumps to the relevant part of the timeline. The Frame.io Final Cut Pro X workflow extension is installed if you have Final Cut and download Frame.io from the Mac App store. Shutterstock’s Final Cut workflow extension gives you access to the whole Shutterstock media library in a window. You can added watermarked media from collections made in the window or from collections made by collaborators online. The media is given a ‘watermarked’ role, so can be found quickly in a project using the timeline index. Once the rights have been purchased, the media changes to the full-resolution non-watermarked version and the role is changed to say the rights have been cleared. 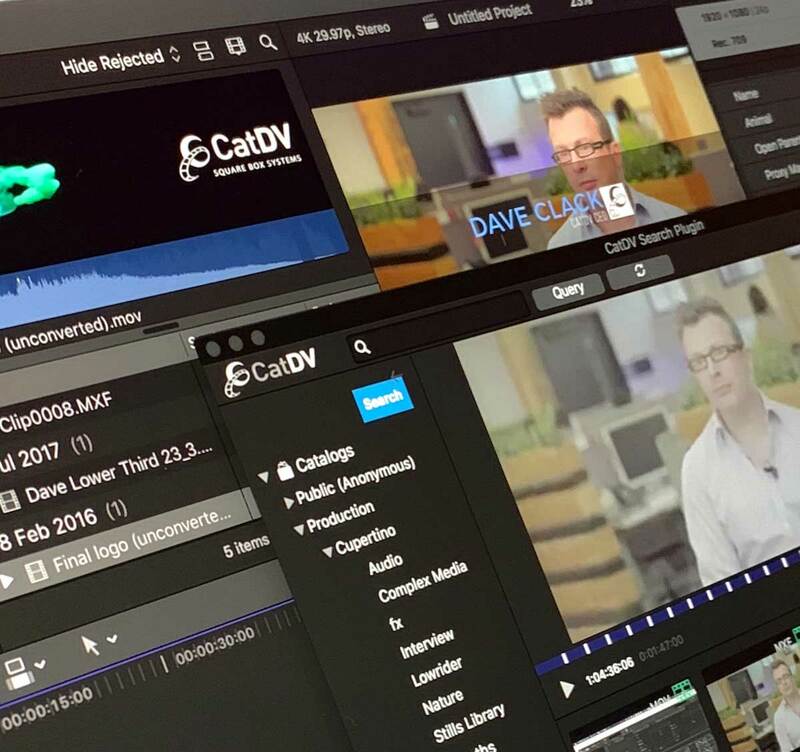 CatDV’s workflow extension gives you access to media in CatDV media asset management systems. 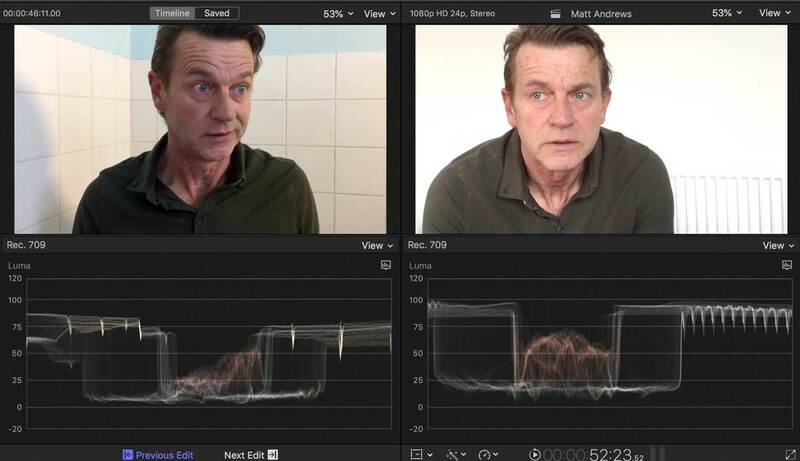 This is useful if you are colour grading consecutive shots to match. You can also switch the focus from the viewer to the comparison viewer. The focus determines which is sent to external devices such as preview monitors. There is an unassigned command in the Command Editor that does this, so you can give it a keyboard shortcut if you like. 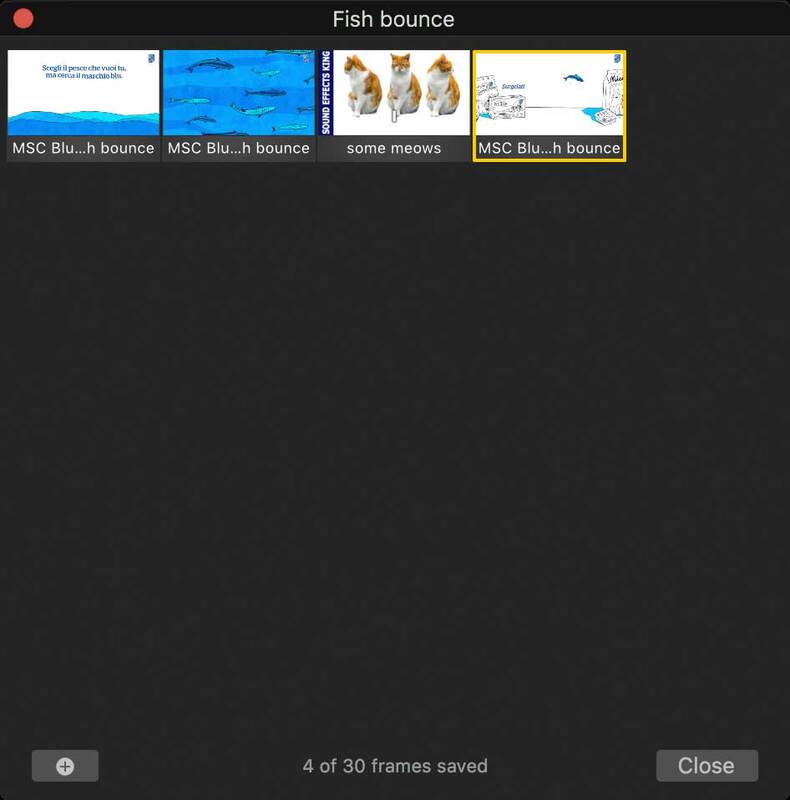 The frames stored in the Frame Browser are library-based. You can’t open library A, save some frames from it and then open library B and see the saved frames from library A. There is a new command you can assign a keyboard shortcut that turns the external AV output on or off. The new noise reduction effect is needed for ProRes RAW workflows – primarily designed for the kind of noise you get when debayering camera sensor data. Noisy low-light footage is less of a priority in the algorithm. Many expected that Apple would never allow third-parties to add to the Final Cut Pro X user interface. 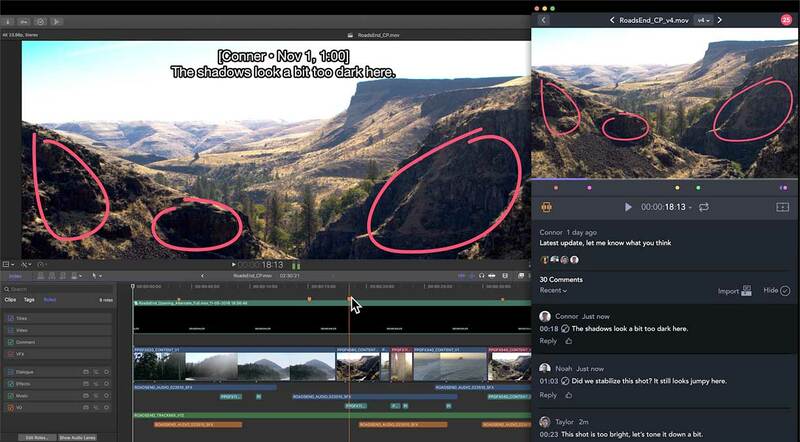 Adobe Premiere’s ecosystem has been improved in recent years by allowing developers to create panels that appear in the application. The user interfaces in these panels are created using HTML and the specification is available to anyone who wants to make Premiere tools. The Workflow Extensions system isn’t as open. I expect that Apple want to approve any third party candidates before release on the Mac App Store. When Final Cut was first released in 2011, the policy seemed to be ‘no windows, no palettes – configure panels within the main window.’ In the last seven years, more windows have been added. I expect this was done slowly and carefully – following research that NLEs with too many panels and windows made were unwelcoming to new users and unwieldy for the majority of users. The new workflow extension, frame browser and timecode windows can make the Final Cut UI more confusing. This works especially well when dragging windows to align with with the timeline panel. Note that this action doesn’t dock the windows to the panels – if you change their proportions, the overlay windows don’t move. The Final Cut Pro X help system has been updated with information on the new features. Final Cut Pro X update coming soon?